Master Kato (received by Celest) We of the collective of Masters are "in understanding" of the confusion that is so rampant here as all Earth Star races try so desperately in many cases, to better understand not only the "why" of certain events occurring here, but to also understand why they themselves must also be affected. Many people here believe that in a perfect world only those who are the true mis-givers of information, only those who are truly dark and evil, are the ones who would and should be the ones to pay for their misdeeds. I must correct that misconception Planetizens; in a "perfect world" they would be no evil beings, now would there? 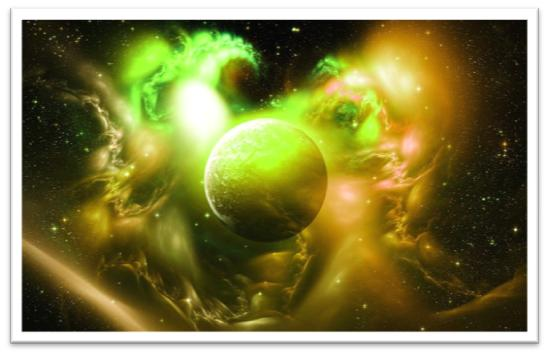 This Earth Star planet has for so long been a melting pot of races, cultures, beliefs and mis-beliefs. Therefore, Earth could not possibly have been expected to not have been in the direct path with the unilluminated and their preposterously devious "shadow land" plans. We have seen with the Creation of each new world in each galaxy that there have always been countless forays to the newly birthed worlds that have been attempted by the Illuminati beings and the demon riders in their quest for absolute power absolutely. As Celestial herself knows full well this has been the case even on the Pleiades. Many battles had of necessity been fought on new worlds as well as on worlds that have long been established. These battles had to take place in order to defeat the irascible hordes. Crisis after crisis has occurred as each Luminescent of each Universe remained diligently on guard. They always keenly observed who or what could be lying in wait on the perimeters of their Universes. This is always the case especially when a world is new. As such it does not yet have any long-term maturity as an aspect of itself. The races that are either sent to the new worlds or those who are specifically Created FOR the new worlds, may be very good Souls but in most cases they are very young. It would be quite difficult for me to accurately describe to you the enormous amounts of protection that are placed around and within each of these worlds. The difficulty I am speaking of lies in the fact that human minds can not conceptualize certain issues. These are always the concepts that have not been acknowledged before on this planet as "facts." If I must give you some type of number to work with then I will use the "millions" to describe how many Star Keepers, Spirit Guides, Master Teachers and we of the collective of Masters, are called upon to protect and nurture the soon-to-be burgeoning new races of beings on a world. Even the term "millions" is not a figure that most of you have a connection with. Be that as it may, think in the terms of "unlimited assistance." The Illuminati lords have always been parasites that thrive on decimating many tribes of beings in order to slake their insatiable appetites. Those who have been the hierarchy always designate the lowest of their caste to be responsible for bringing "home" the energy they extract from other beings. Small amounts of energy are consumed to some measure or another by the lower caste in order for them to survive. They live to feed and feed to live. The largest portions of the stolen energies however are claimed by the hierarchy. They use this power supply as a means of fortifying their own levels of power sources and learned long, long, ago, how to take that energy and use it against good Souls by tainting it with their own darkness. The dark lords and the demon riders always wait for the processing occasion of new worlds, while they practically salivate in anticipation of the event. So when the word of the God of this Universe became known regarding the birthing of the Earth Star planet and the fact that she would house many, many, Planetizens from all worlds who together would become know as "the human race," which means "half God half man," the demon riders rejoiced in a rapturous display of anticipatory thoughts. Planetizens hear me well: it is far more difficult for dark energies to overcome mature Souls living on planets of peace than it is to overcome many unstable Souls who have lost their right to remain on their home planets. You do know of course that all Souls must grow into maturity; there are no exceptions to this Universal Law. This is but one reason why many, many, goodhearted mature Souls have been sent here in an attempt to counterbalance the deleterious effects produced by the lesser Souls here who have still not chosen to learn their lessons. This of course in no way detracts from the fact that yes, but of course there are Souls incarnate on this planet whose mission is to be "the bad guy." Leaving karmic implications aside for now, focus your mind-thoughts on the fact that while unbeknown CONSCIOUSLY to the groups of Souls who made this choice, by the very nature of their acting out in ill-mannered ways through petty theft, denial of the existence of the God of this Universe and generally speaking, being people you would not invite into your homes, they are unconsciously challenging you. They challenge your belief systems, your lifestyles, your self-created priorities in life and the idealistic nature of your perceptions of your existence. Yes, although I will not tackle this matter this day, these are part of either, "unfinished business" from previous lives or a desire to experience a more reprehensible life than they may have previously had. They also chose this lifestyle in order to savor the experience; then they can decide in future lives whether or not they have had enough of the experience. Then there are the masses of people here whose damaged psyches function as shadowy beacons, a fractured version of who they could have been. These are the ones who initially in the long ago times, caused the demon riders to chortle in glee. The dark lords’ believed that the God of this Universe was stupid and many of them never did believe that He was who He really is. Many of them actually did not even believe in His existence for a very long time. I am sure many people here can "relate to the non-belief theory!" They simply could not fathom the fact that He and all the other Luminescents agreed that only be sending Souls here who required retraining through the process of massing them all together on one world was a sane decision. The dark had no understanding of the purpose of those Souls relearning lessons by living among other races. Of course they would not know that those same Souls also had to still maintain the priority of learning to live with themselves! Essentially it means that no Soul can move forward and become part of a Soul gathering event, if the individual Soul itself can not live WITH itself in a state of harmony. Only a very foolish person would believe that all Souls are perfect. Souldom is not always a utopia. I know that God, Blue Star and other evolved beings have told all of you in the past that, "all Souls are born into perfection, yet not all Souls are perfect." The states of a Soul are not enigmas in the matrix of Universal understanding, you know. This is all a part of the how and why "sequential timing," which simply means, "events that are either a consequence or result of another force that either impedes or precedes a coming attraction," must align with spatial events. Indeed there are specific steps and gridline intersections that must also occur. "As above, so below." This is how the past history of you, the Planetizens of Earth, is impacting on you today. Those men and women and children who continually were taken over by the dark energies so long ago, set a pace, a precedent for all that is still ongoing here today. Epoch after epoch, decade after decade, millennia after millennia, this has continued. The good news about this is that simply because the children of Earth made it so easy to be conquered it eventually caused the Illuminati beings to lose all caution. Their naturally restless, invidious natures were consumed by THEIR perception that in time, they could overtake this world completely. It was when however the Creator decreed that a grand event should be put in the planning stages because of the clearly perceived fall of the human race that would ultimately also destroy this planet, that the dark hierarchy sat up and began to take notice. If not for the extraordinary largess of all the Luminescents and the Creator as well, millions, and millions of you would not be here today. Or yesterday, or yesteryear, or millennia ago! It was agreed upon by all of Divinity that "X amount of time be allotted for Souls to recant their misbehavior." All misdeeds, except for those of the most heinous kind, would be dealt with in Nirvana. All Souls who had ever lived here for that matter would be granted ample time to relinquish their ill-chosen paths of any life experience through karmic renewals and eventual elevation to a higher level of Soul knowledge. A greater state of maturity would be earned through this processing. With the maturity lay ample opportunities to reincarnate to wherever the Soul had earned the rite of passage to be. This then was when the spatial events of NESARA, the Winds of Change and the Golden NOW Child were deemed to be the true forerunners of God’s Golden NOW period that had infinite longevity. This then was to further be the spatial arrival of the Jesus THE Christ Consciousness; He who lives in infinity yet has unlimited opportunity to blanket this world with His Unlimited love and His own devotion to the Creation processing. He, who loves all. The awareness factor of the dark ones whose agenda had so long focused upon the total disruption of the evolvement of the human races and the culmination of the children of the lesser god being able to assume total control of this planet, was now seen to be in great jeopardy by them. Although so many millions of truly good Souls had lost their lives battling on all levels against the Illuminati forces, it was still the contagious nature of the dark energy that had continued to corrupt less hardy Souls. This battle that has waged for so long was one that was a deciding factor in the decision of all Divinity to MARK a gridline intersection when all those still darkly inclined Souls and all those true disbelievers of the greater truths and realities would LEAVE here…. one way or another, along with the remnants of the Illuminati. Under the auspices of Universal Law, it was permitted for the demon riders to know of the impending arrivals of the Golden Horsemen, NESARA, the Winds of Change, The Golden NOW Child and The Jesus THE Christ Consciousness. All are spectacularly aligned with the Consciousness of the God of this Universe, they are the ones you have been waiting for and you did not even know it! It is said here by many Planetizens that "you are the ones you have been waiting for." However, there is only truth to that if you are the ones who have consciously been waiting for the Golden Horsemen WHILE maintaining your Soul integrity. Otherwise, it is but pabulum. So it came to pass that because of the Universes’ decisions to proceed with the planning stages of the entrance for the time of the Golden NOW, the dark ones who inhabit a different realm yet send their pawns here to be the instruments of true death, had of necessity to correctly gauge when this extraordinary event was to take place. The increase in political intrigues here and the quest to dominate space along with the hyped up dialogue from religious indoctrinations had the backlash that we expected. These plans and the religious decimation of a Soul’s belief systems further hastened the desire among our carefully placed brethren here to achieve a long sought victory. Their Soul Voices have achieved a crescendo; a vocalized force of refusal to pander to the diabolically orchestrated lies and deceit foisted upon the human races. They are encouraging other people here to no longer be forced to endure the dark beliefs. To them, because of all they had given up in order to be of service to others, they found the ongoing situations absolutely untenable. The Souls we set into place here with the shared guidance among ourselves, along with the Luminescents’ sage advice and the ones chosen by the God of this Universe and by the Creator, had to only be those who had unlimited endurance, Soul integrity and were completely devoted to "just cause." This of course also required that the majority of these Souls had attained a high level of maturity. All had to be accomplished while maintaining rigorous scrutiny in honoring all Universal Laws. So it is and has long been that in great measure thanks to the Souls whose beliefs and truths can not be adulterated, that you are a tippy-toe away from a new life while you are still here on the Earth Star planet. The most vexing sequential timing any of you has every experienced is coming to an end. Not with a whimper, not with a whisper, but with a tremendous kaboom! This kaboom begins with the entrance of 2012. This does indeed bring us now to just a bit of information about 2012 that we will share with you this day. This is about the fact and fiction of year 2012; this gridline intersection will long be spoken about and taught of on all worlds as the most misunderstood time period on Earth. It is so. Planetizens, in time you will each understand how terribly you have been misled, usually by good but impetuously misguided people here; the very ones who can not read a book chapter by chapter. They simply must read the last first and then begin the very detrimental process of instilling their own ideas into other peoples’ beliefs based upon a single word or phrase in the last chapter. THEN they think they know it all! In great part too is the huge impatience so many of you have regarding timelines and events. Too many of you "want it and want it now." All of you are tired of waiting; that is understandable. However considering the fact that your overall behavior here and your lack of understandings have been less than commendable, you probably should keep quiet and continue to learn all that you can, while you still can. By the way, we of the collective of Masters do not have the time or the desire to hold anyone by the hand now. Those times are over, so when we must be blunt, so shall it be. The dark ones know of 2012 of course, I believe that was self-explanatory in the paragraphs above in this writing. They do in fact know far more about this event than do you. You see, they know that 2012 is but the beginning OF THE BEGINNING. 2012 will begin with a bang, but not with the utter displacement of the entire remnants of the demon riders. Although the Illuminati overlords left here several years ago and are directing their forces from their own realm, the overlords that are still left on their own realm are in deep distress now. Many of the overlords tarried too long here and were destroyed en route to their home realm. The ones still there however are in deep anger and what could be considered fear about the upcoming events we have shown to them. We can show these to them now because there is nothing they can do to stop them from happening. The long awaited fall of the Bildeberg Group will now be able to happen. There will soon begin an internal crumbling; their centuries of lascivious lifestyles and utter control of all countries on this planet has caused them to become weaker, although they and you know it not. We have watched the new and ferocious arguing among themselves that but a few years ago was merely egotistical bickering. Each of these men AND WOMEN are trying to understand why certain wars they are planning for profit are not taking place. They are trying to understand why "suddenly" their ideas and their gruesome plans that used to be so easy to set into motion are now being impeded. They suspect "who" is responsible, but there are too many red flags now in their midst for them to do anything to circumvent our deeds. Ours and God’s of course. You see, they each had to be deposed one at a time, in a sense. It is occurring and for the first time in this planet’s history, they are afraid and very uncertain about their own individual futures. They each have certain hidden places; ones that were set into place many generations ago and have merely been upgraded of late. These are the places that you could think of as their safety "nests." Even evil needs a place to hide now, more so than at any other time. Many suicides will take place beginning in 2012; many of these suicides will be the men and women who are the ones behind the Bilderberg group. These are the people who have craftily encouraged the group to destroy as many governments as they can while swiftly placing their own power mongers in place. This group has no place in the Golden NOW; so it is written. Although all major corporations including of course all their controlled media will be loath to discuss this group with the races of people here, others will pick up the banner of truth and leave no stone unturned in revealing the infamy that was planned. Exercise patience and you may be among the ones who will survive to see this happen. Planetizens, these are not "the times that try men’s Souls," they are the times that test the adaptability and the durability of ALL Souls. There are many problems with water on this planet; most water has been severely compromised now. Some of it has been intentional and some it happened because of carelessness or stupidity. In many places 2012 will see the entrance of the further widening of the "dust bowl" that will cover many landmasses and cause the death of many people of all races. Two reasons for this; one is that Earth is reformatting herself, but the other reason is the vanity of many humans, not ALL who are men, who are still trying to control the weather in order to control the world. Although it will not all happen in 2012, over time all water will be at a premium. As I stated earlier, "2012 is but the beginning OF a beginning." I ask you again on behalf of our collective, to start to take better care of what you have. Start to purify your personal drinking water as best you can. Cook your foodstuffs carefully, do not accept at face value that your foods are all safe just because the processer says so. Start to use some common sense. The more the better! Oxygen is becoming more and more depleted here daily, in the air, on the land and in the waterways. Living at the highest altitudes on this planet, although once this was a good choice, no longer is advisable. Of course there are great flooding risks living at sea level. And great flooding there will be in all countries. Find a happy medium when relocating please. Do not feel that what I am sharing with you is gloom and doom. That is not true. I deplore that manner of thinking and none of us would ever indulge in it. Everyone says they want the truth…well here it is, you have been reading it. For years now, particularly the last 7½ years, even in her pregnant state the Golden Now Child was already able to slowly send her streamers to this planet. You need to better understand that you should think of 2011 as the finale of the birthing period of the Golden NOW. As such please remember that with birth there is a certain amount of pain. The NOW’S labor had been long. IT IS OVER. As 2012 zips forward with uncharacteristic speed into all succeeding years, many here today, those who will continue to be here that is, will look back to this 2012 time period and have great understanding that it could not have happened any other way. Great change sometimes requires great ability to release all that is not truly important in your life and embrace all that truly is. And on this note, I say to you, "indeed rejoice that 2012 is arriving and learn to expect, respect and accept the unexpected." We are here by your side and we will never let go of you; we will never fail you or let you fall. You, and only you, can do that to yourselves. This too is written.